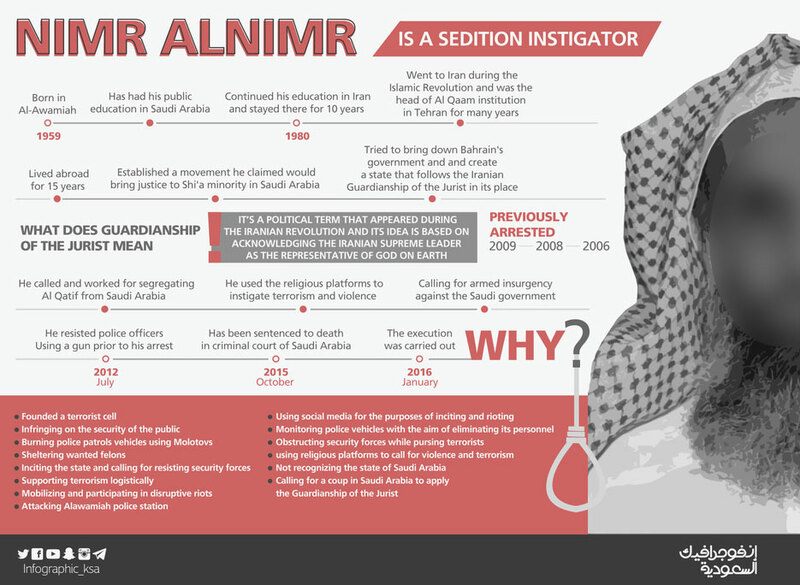 Nimr al-Nimr is a follower of Al-Khomeini's doctrine of Wilayat al-Faqih (Guardianship of the Jurist) which asserts divine authority for a supreme spiritual leader in the absense of the alleged awaited Mahdi who upon his arrival will slaughter Sunni Muslims and wrestle control of Makkah and Madinah. He was convicted of terrorism related offences and executed last week. The following infographic has been circulated regarding his timeline and activities.